In my last post I wrote about “why recessions caused by demand deficiency when inflation is below target are such a scandalous waste. It is a problem that can be easily solved, with lots of winners and no losers. The only reason that this is not obvious to more people is that we have created an institutional divorce between monetary and fiscal policy that obscures that truth.” I suspect I often write stuff that is meaningful to me as a write it but appears obtuse to readers. So this post spells out what I meant. As you say, this is not innovation in macroeconomics or politics. At the time of the Great Depression, New Deal and WWII, it was advised by Fed chair Marriner Eccles and FRBNY director and then chair Beardsley Ruml, for instance. As Paul Krugman has noted, what was known previously has been forgotten. 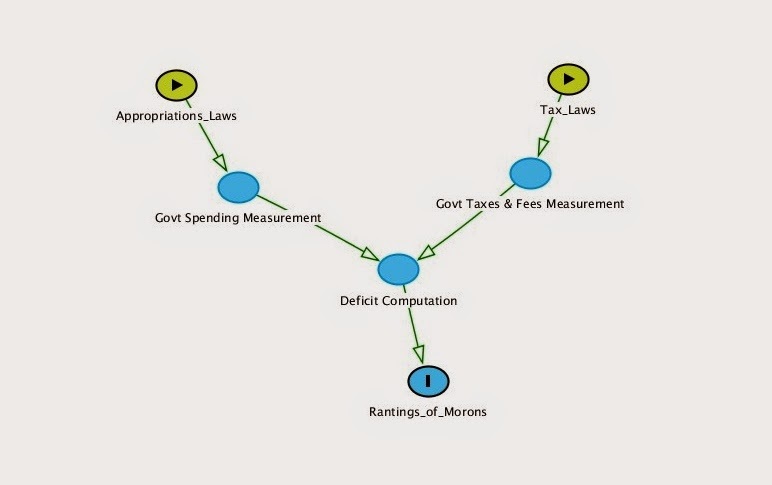 MMT economists admit that most of their contribution has been weaving various existing thread together, for example, Wynne Godley's SFC macro modeling using sectoral balances, Abba Lerner's function finance, and Hyman Minsky's analysis of financial instability, as well as his proposal for an employer of last resort-job guarantee similar the the WPA and CCC of the New Deal, which was later the inspiration for the Peace Corps created by JFK. BTW, as you may have heard, MMT economist Stephanie Kelton has just been hired as chief economist for the minority of the US Senate budget committee, and she is taken a two year leave of absence from the University of Missouri at Kansas City. Hopefully, she can get the ball rolling on some of this in the US Congress. Today's the last day to save 30!!! Sign up for my Jan 12-16 online Forex course today and save 30% off the full price. Make your New Year's Resolution to be a successful Forex trader!!! 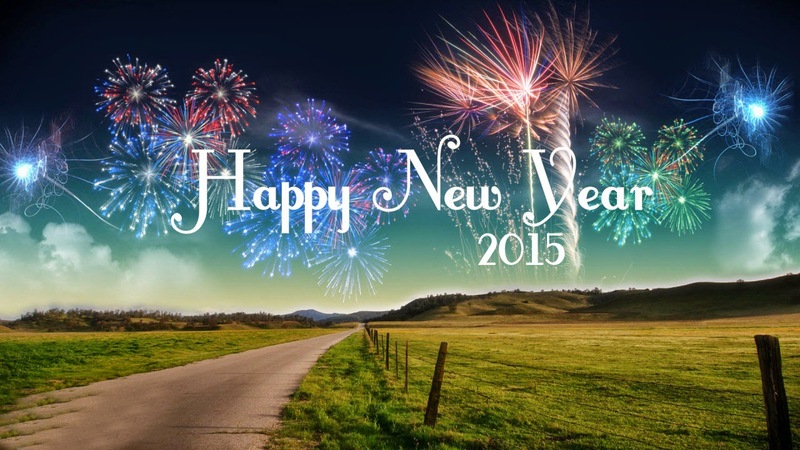 Here is wishing a Happy New Year to all of our readers and commenters and contributors here at MNE! Let's keep the hammer down in 2015! The 2014 wave election was hardly the indication of coming GOP sweeps, as some conclude. The GOP looks to have a serious demographic problem. They have boxed themselves in with wedge issues that don't have mass appeal. Worse, there is no one on the horizon that can change this declining direction and survive a GOP primary under present conditions. The upshot? The decisive elections will be decided in Democratic primaries between the neoliberal and progressive wings until the GOP can get its act together again. This is a pretty strong predictor for HRC in 2016 if the analysis holds. After 2016, the GOP collapses demographically unless they can regroup. One hundred years later, the insights of the American strategist continue to have extraordinary relevance today. James R. Holmes, Taiwan's New Stealth Corvettes: Just What the Doctor Ordered? The logic of collective action versus the free rider problem. Take that, economic liberalism. Each of these stories appeals to self-interest, but economists almost uniformly reject them as absurd. Why? Because they ignore another beloved economic insight: the logic of collective action. When actors have a small effect on big social outcomes, and their only incentive to act is the big outcome itself, selfishness urges them to stand down, twiddle their thumbs, free ride, and yawn "Let someone else do it." Bryan Caplan | Professor of Economics at George Mason University, research fellow at the Mercatus Center, adjunct scholar at the Cato Institute. Bryan Caplan is a Libertarian (anarcho-capitalist). But see his Why I Am Not an Austrian Economist. Apparently, some Libertarians (right libertarians) get it about the logic of collective action and the free rider problem that arises from economic liberalism based on self-interest (rational pursuit of maximum utility). On the other hand, all left libertarians get this, as well as social democrats and heterodox economics of the left — which is why they are on the left. Caplan links to the Wikipedia article on the logic of collective action, which is chiefly about the book of that title by Mancur Olson. What it fails to mention is Nobel laureate in economics Elinor Ostrom's collective action and social development. See her paper, Collective Action and the Evolution of Social Norms. Oh, and contrary to Libertarian assumptions to the contrary, some people are actually motivated by altruism. Moreover, this is the normal path of human development toward self-actualization and unfolding human potential. Altruism one manifestation of spiritual maturity. Caplan seems to think that his explanation is comprehensive, whereas it is only partial. Just as humans develop physically, emotionally and intellectually, they are also capable of developing spiritually, that is, the the direction of greater universality as the boundary of individuality recedes toward the horizon of wholeness. Spiritually immature people imagine that altruism means giving up individual desire, choice and action, which kill one's individuality, one's sense of personal self, that to which one relates everything, which is what one is. However, the opposite is the case. As one grows spiritually through actualizing one's potential as a human being, one becomes more fulfilled, more complete, and happier. As Aristotle observed in Book One of Nichomachean Ethics, happiness or well-being (eudaimonia) is the by-product of excellence (arete). This is consistent with the perennial teaching of those to whom humanity looks to as sages about the spiritual path and the progressive realization of inherent potential. To miss this is to miss what is truly important in life. There's still time to save $900 on my upcoming, Jan 12-16 Forex trading course. If you register anytime up until midnight, Dec 31, the course fee will be $2095. After that it will be the full price of $2995. So if you have been thinking about taking my Forex course and getting the skills to become a successful Forex trader, now's the time to make your move. There's going to be lots going on in 2015, starting with the Greek elections and what that portends for the euro. Not to mention the GOP taking control of Congress and the debt ceiling in March. Forex markets will be roiled by these events. If you know how to trade you can make 2015 a year that you score big! If you want the 30% discount, click this button below and register for the course. Ezra Klein — This is how the government should budget. But it probably can’t. Proof positive that Ezra Klein is a moron. Why do people like to him? Oh, they are morons too. If the government cuts spending on Social Security by $10 billion then it really has saved $10 billion. This is how the government should budget. But it probably can’t. If there’s gonna be a revolution, it’ll happen non-violently. I think it’ll be a very peaceful kind of. It’ll be more like an awakening, you know? You think maybe maybe he read The Fourth Turning? No, Obama didn't end torture. BTW, if you haven't seen Brazil (1985 film), it's as apropos as Orwell's 1984. We need to reestablish that foundational, incontrovertible moral certainty we once had about torture. The Senate report was a bold and important step toward reestablishing that certitude. More is needed. There is a less known coda to the Milgram experiments. When dissent was added into the equation, when someone objected to the shocks being administered, the experiment participants’ willingness to inflict abuse diminished substantially. "The social psychology of this century reveals a major lesson: often it is not so much the kind of person a man is as the kind of situation in which he finds himself that determines how he will act," Milgram wrote after more than a decade’s work. With permission from Veteran Intelligence Professionals for Sanity. How much does it cost you to live in your house? If you are a renter, the answer to that question is fairly straightforward (although if your rent includes a gym membership and heat, it is not clearcut what the simple cost of occupying your place is). But suppose you are an owner. What is it costing you every month or every year to live in your house? The truth is, you don't know with a great deal of precision, and neither does anyone else. Pretty much like the right wing went after Clinton and Obama. Now it's De Blasio's turn. More divisiveness that is ripping the US apart and hemorrhaging American soft power on the world stage. Stop “the right people, the right time, the right location,” Deputy Inspector Christopher McCormack is heard saying on the recording. “So what am I supposed to do: Stop every black and Hispanic?” Serrano was heard saying on the tape, which was recorded last month at the 40th Precinct in the Bronx. The tape and testimony are a part of a class-action lawsuit against the NYPD's stop-and-frisk policy. Democracy is in big trouble in the EZ. Can the birthplace of Western liberal democracy extricate it. So we can see here that Treasury has last FY's total "Outlays"at $3.5T. If we subtract the total amount of these withdrawals due to UST redemptions of $6.885T from the total withdrawal figure for the FY of $11.071T we are left with about $4.2T of net withdrawals from the US Treasury account. So the difference between this cash basis amount of 'withdrawals' from the US Treasury account and the accrual basis amount of "outlays" is running at about $700B annual rate, or about 20% of accrual basis "outlays". So this divergence between the cash basis number in the DTS vs the accrual basis number of the MTS, each of which is supposed to be representative of what the federal government is "spending", is pretty substantial here for last FY at 20%. Pope Francis is the most influential thinker of today. Until 13 March last year he was still known as Jorge Mario Bergoglio and had little worldwide influence as an Argentinian cardinal. Close on his heels is the ‘Internet Pope’ Tim Berners-Lee. The number of researchers and scientists from the USA and Europe is striking, as is their age. Among the top ten, there are only two persons under 60. And only two women, which is less than could have been expected from their representation of 37% in the top 100. It is also interesting that the economists who were once the centre of public attention have lost ground since the world economic crisis of 2008. The two best-placed economists don’t stand for highly competitive positions in debates on tax and economy; they stand for value-orientated discourse: Amartya Sen (rank 3) and Muhammad Yunus (rank 5) are both pioneers in the fight against poverty. My podcast for Dec 29. Forex trading. Police insubordination. The weakness of liberals and progressives. Obama's love of neoliberalism. The Arthurian — "No government in history has been known to evade this pattern." "No government in history has been known to evade this pattern." As we enter 2015, it is not useless to look backwards in order to try to guess the trends of the future. I would argue that the age that we are, to some extent exiting now, and which extended from the early 1980s, can be called the “second age of imperialism”--the first one, in the modern history, having been the age of high imperialism 1870-1914. In economics, the second age of imperialism was best reflected in many doctrines and concepts that became discredited during the Great Recession (efficient markets, rational expectations, costless transactions, representative agent, “trickle-down” economics), but even more so in the Washington consensus. While the Washington consensus, the list of ten desirable economic policies to be implemented in the Third World, drawn by John Williamson and reflecting the views of the Washington establishment, had valuable insights, it provided a template for mindless imposition of policies that often, within the context of countries that were forced to implement them, were counterproductive. The Washington consensus was a perfect complement to Fukuyama’s “end of history” because it offered the ultimate economic policies to go together with Fukuyama’s ultimate political organization. Milanovic broadly summarizes his view of the history, geopolitics, and political economy underlying the rise of the global economy under liberalism. Outlook? Pessimistic. Michael Sankowski — Business Cycles: Are they really that mysterious? It's housing, stupid. Which is a proximate cause of the lagging "recovery" that isn't for most people. The housing channel is not only a major component of investment but housing also drives consumer spending on house and home related items such as furnishings. The obvious question is why housing remains in the tank with so many years of historically low mortgage rates. Here is the income channel, as well as a higher propensity to save (increased liquidity preference owing to heightened uncertainty and reduced expectations). Business Cycles: Are they really that mysterious? So what did Americans supposedly spend so much more on compared to the previous revision released one month ago? Was it cars? Furnishings? Housing and Utilities? Recreational Goods and RVs? Or maybe non-durable goods and financial services? Course is Jan 12-16. Online. Intensive Forex trading boot camp. There are going to be HUGE Forex moves in 2015. Learn to trade Forex. Take advantage of the 39% discount on registration up thru Dec 31st! Click this image to go to sign-up page. Euro is already crashing following today's failed Greek presidential vote. What are you waiting for? Sign up today!!! Putin Wants Sky-High Rates to Come Down. But Will They? And When? Key question here... story at Bloomberg via Yahoo here. Could be potential bad news on the horizon. While there are plenty of obstacles to lowering rates with inflation at a 3 1/2-year high and the ruble set for the biggest drop since 1998, derivatives used to predict future borrowing costs signal cuts are in store in the first quarter. Central bank Governor Elvira Nabiullina unexpectedly raised the benchmark to 17 percent from 10.5 percent two weeks ago, putting the economy at risk of a deeper recession to prop up the ruble. I hope they don't cut rates so soon. We need them to keep the rates up for a meaningful period to see if the true effects of an interest rate raise are actually stimulative as the govt is a net payer of interest and as such, high rates are fiscally supportive. If this hypothesis is true we should see a fairly rapid domestic Russian recovery if they keep rates up at 17% for rouble savers long enough. The following post was contributed by Richard McIntyre, in response to Alan Blinder’s review of Jeff Madrick’s book, Seven Bad Ideas: How Mainstream Economists Have Damaged America and the World, in the New York Review of Books. They did it with Scotland and they are at it again with Greece. In an all out effort to avoid snap elections in Greece and more Eurozone woes, Brussels lapdog and Greek PM Antonis Samaras is going full fear monger mode in order to convince 12 more MPs to vote for his choice for President this Monday. If the Greek Parliament fails to reach the 180 voted needed to approve Stavros Dimas as Greece’s new President (a purely symbolic role) then, as stipulated in the constitution, elections must be called, and that’s when things get interesting. Sour grapes, or bitter pill? Looks like a bit of both. Any rate, it's a wake-up call for the West. The sanctions against Iran and now Russia may turn out to be a bigger geopolitical and geostrategic blunder than the invasion and occupation of Iraq and Afghanistan, along with the Asian pivot and excluding China from the TPP. The Rutherford Institute’s amicus brief in Heien v. North Carolina is available at www.rutherford.org. What would possibly count as "unreasonable" if then police discovery something "by chance." This is carte blanche, or even an invitation to abuse. Goldman Sachs's chief economist Jan Hatzius just published answers to what he believes are the eight top questions for next year. So in summary, the US economy will grow together with the dollar, faster than its global peers. But inflation below the Fed's target will push its rate hike back to at least September, and the impact of lower oil prices will continue to be felt throughout the economy. Basically good new. Low wage growth is good news for capital, bad for labor though and bad for inequality, the driver of which is capital share versus labor share. By the way, his lack of appreciation for Structural theories of inflation is also based on this obsession with the Natural Rate. For him all inflation is caused by excess demand (it turns out that Krugman is a Monetarist). Latin American structuralists pointed out that the changes in the structure of production created cost push causes for inflation. Logic and evidence suggest that they were right. By the way, same reason you shouldn't, as Krugman isn't, afraid about inflation in the US right now. Not close to full employment, and bargaining power of labor class at all time low, with no wage cost pressures. For a slightly longer discussion see this entry on the meaning of structuralist macroeconomics, and thisone on the evolution of Latin American Structuralism which is still around (yep, the news of our demise are greatly exaggerated). Leading Post Keynesian Modern Monetary Theorist (MMT) and Chair of the Economics Department at the University of Missouri-Kansas City (UMKC) is leaving there to become the Chief Economist of the Minority at the US Senate Budget Committee. She is reported to have been hired by Bernie Sanders, who will be ranking member of that committee after the Dems lose control of the Senate in January. Barkley Rosser goes on to claim I’ve also left UMKC, and frets that this might be the end of Post Keynesian Economics at UMKC. Nothing could be farther from the truth. Yes, I’m half-way through what is arguably a well-earned and long-overdue year-long sabbatical. And Professor Kelton is taking a two year leave of absence to go to Washington to try to knock some sense into beltway politicos, pundits, and progressives. Now, “sharing of the pie” with the bottom 40 per cent of people is gaining traction even with the International Monetary Fund and economists such as Thomas Piketty, Dr. Basu said. Reflecting the new consensus, Dr. Basu said the World Bank formally changed its goal to fighting no longer for just eradication of poverty but also for shared prosperity. Them's fighting words (for neoliberals). Also important: Dr. Basu also said that the World Bank was planning to create an ‘Ease of Living Life’ rating of countries that would be on the lines of the ‘Ease of Doing Business’ in which India ranks poorly. The rating being planned will rank countries on the costs incurred by ordinary people in interface with the bureaucracy. Is Homo Economicus A Psychopath? To make matters even worse, as opposed to full on psychopaths, who tend to be a disorganized lot, HEs demonstrate above average self-discipline…. Directed Acyclic Graph of "the deficit"
I've used the Dagitty software to produce a causal relationship diagram in the form of a Directed Acylic Graph presented below to illustrate the causation related to "the deficit". I've thought about this a bit and can come up with no other causal outcome that results from the computation of "the deficit" other than "Rantings of Morons" outcome that I've diagrammed here. If any of our readers can come up with another causal outcome, I would appreciate that they would provide this in the comments and I'll try to update this diagram if indeed "the deficit" can be shown to be a causal ancestor of the reader's proposed resultant outcome. So short of this, we should never be using the phrase "the deficit (level) is causing (insert economic outcome here)....." as the only thing "the deficit" causes is the outcome identified above. At least at this point I can identify no other causal outcome that results from the computation of "the deficit". A prominent advocate of bigger deficits and unconventional economics will be Sen. Bernie Sanders’ chief economist when he becomes the ranking member of the Senate Budget Committee in January. Stephanie Kelton, a self-described “deficit owl” and a leading proponent of the alternative economics theory known as modern monetary theory, announced that she would be the chief economist for the minority on the Budget Committee Friday. Kelton is currently the chairwoman of the economics department at the University of Missouri-Kansas City. In addition to her academic career, she has a strong presence on social media, especially on Twitter. Since the financial crisis, Kelton has developed a following as a defender of larger deficits to counteract the recession, as well as one of the leading exponents of modern monetary theory, popularly referred to as MMT.…. Bernie's Christmas present to the US and world. MMT is now on the political map with an official "insider." Why you are in mortal peril if a police officer thinks he is in mortal peril. As the fear factor rises, it doesn't take much. A US view of Russia under Putler. Exploration of inequality and how it applies in context. I prefer the more denotative and less connotative "asymmetry" to "inequality." Sociology, history, politics and economics can be viewed as inquiries into different types of asymmetry and how they interact in different contexts. The Year of Piketty — The Complications of the "I-Word"
Multipolar globalization is underway despite the US. Multipolar liberal globalization versus unipolar neoliberal globalization is now on the table and it will be a major issue in the coming year. The big question is which way European powers will tilt. Fascinating piece of history well told. Russia has adopted an updated version of its military doctrine, which reflects the emergence of new threats against its national security. NATO military buildup and American Prompt Global Strike concept are listed among them. The new doctrine was approved on Friday by President Vladimir Putin. Its core remains unchanged from the previous version. The Russian military remains a defensive tool which the country pledges to use only as a last resort. The doctrine, which Putin signed as Russia's economic power and international relations continue to deteriorate, maintains many of the provisions put into place in its previous edition, signed in 2010. Among those is the possibility of Russia using nuclear weapons in retaliation to other nations targeting Russia or its allies with weapons of mass destruction—though the doctrine concedes that those scenarios are unlikely. Ahead of the doctrine's release, the Russian government said NATO was turning Ukraine into a "frontline of confrontation." The Defense Ministry also posted a Tweet on Wednesday warning that Ukraine's "accession to alliance will bring Russia-NATO relations to complete collapse." Russia hardened its military doctrine, identifying new threats after tensions with its Cold War foe NATO increased over the conflict in Ukraine. The revised document posted today on the Kremlin website names attempts to overthrow neighboring governments as a major threat, as well as the North Atlantic Treaty Organization’s buildup close to the country’s borders. The previous draft was published in 2010. Some will view this as a rant, others as a call to arms, and yet others as a rather accurate view of the state of global affairs and the trend of geopolitics. Regardless of viewpoint, it is an increasingly widely held point of view that is exerting an impact geopolitically. And anyone that can't hear the war drums beating is deaf. The mask has fallen and what is now exposed is horrifying: the face of amonster, with blood and pus, a greedy grin and merciless fangs. It is a monster that is still in love with itself, unable to see its dreadfulness. It remains proud of its fundamental religious dogma, which it often doesn’t even see as ‘religious’. It dwells on self-righteousness, and at the same time, on its twisted market-fundamentalist faith that everything and everybody are for sale. It is a monster full of complexes – both those of superiority and inferiority. It cannot live as an equal. Therefore, it will fight its final battle. It will try to win. Or, it will try to destroy the world. Because life is not worth living for it, if it is not in full control; if its God is not in control, if it is not perceived as the enforcer of the divine manifesto…. FRBSF — Global Aging: More Headwinds for U.S. Stocks? The boomers have had a marked influence economically as they passed through the stages of life. No reason to think that won't happen as they retire and start to draw on accumulated savings. Will this be offset? The retirement of the baby boomers is expected to severely cut U.S. stock values in the near future. Since population aging is widespread across the world’s largest countries, this raises the question of whether global aging could adversely affect the U.S. equity market even further. However, the strong relationship between demographics and equity values in this country do not hold true in other industrial countries. This suggests that global aging is unlikely to create additional headwinds for U.S. equities. Catching up on geopolitics, geostrategy, neoliberalism, and globalization. Increasing China’s outbound investment is part of Beijing’s long-term economic and political strategy. This is a geopolitical and geostrategic scenario that I have been alluding to. Hopefully it won't prove correct and cooler heads will prevail. But this is essentially the same scenario that led to WWI, when Britain and France became concerned that the rising German Empire was upsetting the balance of power in Europe after the Franco-Prussian War aka the War of 1870. The problem is that by way of pure demographics the Western Alliance concedes a majority of the world’s assets will be owned by the East within the next few years and with majority of wealth typically comes control. James Wolfensohn, ex president of the World Bank, lays out the global power shift very clearly in his address at Stanford University. But so how does the Western Alliance hold onto global control whilst no longer holding the majority of the world’s assets? Well that is the challenge James presents to students in his address. In reality the Western Alliance is not calmly passing the challenge onto these future leaders but is very much initiating the battle to end all battles. You see it is natural for the Alpha dog to eventually pass on the crown. It happens in all top-of-the-food-chain species, lions, wolves, bears, etc. The dominating male will eventually be challenged by a more impressive up and comer. And while that alpha dog can hold onto his top rank for a few years past his prime by putting on a show of strength eventually it comes down to his last fight. China’s future growth is dependent on Russian energy, and so on Russia itself. As such, China will never allow the Western Alliance to crush Russia as China understands the end objective is not a containment of Russia but China itself. I made the point in the previous article that China will not only step in economically, which we’ve already seen by example with the signed energy deals and now explicitly stating they will back the Russian economy but, if comes to it, China will be prepared to step in militarily, they have no choice. That is a very scary WWIII proposition and one might wonder why in the hell are we headed in that direction? It is obviously not something citizens of any involved countries would want. Again the reason goes back to that very natural process of Alpha selection. It requires a final fight of the Alpha dog, the one in which he loses his reign of power to a new more impressive Alpha dog. Sometimes this is done without violence when the Alpha simply knows he is no longer top dog and he moves on. Often times it ends is horrible violence. The is the history of elites confronting each other from time immemorial. The rise of neoliberal corporatism as the global market society under oligarchic "democracy." Much has been written, at least in the alternative media, about the Trans Pacific Partnership (TPP) and the Transatlantic Trade and Investment Partnership (TTIP), two multilateral trade treaties being negotiated between the representatives of dozens of national governments and armies of corporate lawyers and lobbyists (on which you can read more here, here and here). However, much less is known about the decidedly more secretive Trade in Services Act (TiSA), which involves more countries than either of the other two. At least until now, that is. Thanks to a leaked document jointly published by the Associated Whistleblowing Press and Filtrala, the potential ramifications of the treaty being hashed out behind hermetically sealed doors in Geneva are finally seeping out into the public arena. If signed, the treaty would affect all services ranging from electronic transactions and data flow, to veterinary and architecture services. It would almost certainly open the floodgates to the final wave of privatization of public services, including the provision of healthcare, education and water. Meanwhile, already privatized companies would be prevented from a re-transfer to the public sector by a so-called barring “ratchet clause” – even if the privatization failed. In Glennon’s worldview real power lies elsewhere: down in the bureaucracy where actual decision making is conducted by “several hundred executive officials who manage the military, intelligence, diplomatic, and law enforcement agencies[ii].” According to Glennon this explains the striking continuity in national security policy despite the transition from the Bush administration to the Obama administration. The American global war on terror (GWOT) has devolved into a bi-partisan foreign policy shambles. The U.S. government careens from one crisis (usually of its own making) to another, without any introspection into the reasons why its policy is creating enemies faster than it is killing them. GWOT: A Prologue to a Farce, a Tragedy, or Both? When Castro ousted Fulgencio Batista’s despotic rule, he nationalized foreign corporate assets. Originally valued at around $1.8 billion. At 6% simple interest, now worth around $7 billion. From sugar processing plants, other factories, mines, oil refineries, power plants, hotels, 75% of Cuba’s arable land, cattle ranches, other assets. US companies have 5,913 outstanding claims. Including from ExxonMobil, Coca-Cola, Freeport-McMoRan, Colgate-Palmolive, Procter and Gamble, Goodyear, Firestone, General Motors, Owens-Illinois, Avon Products, Starwood Hotels & Resorts Worldwide and many others…. America wants things its way. It remains to be seen how tough issues are handled. Expect months of negotiations to follow. Contrary to rumour, the Brazil-Russia-India-China-South Africa alliance confirmed it would avoid challenging the unfair, chaotic world financial system at the Fortaleza summit on July 15. At the same time, against the background of the evident cooling of the EU-Ukraine relationship, the EU-Russia relationship is returning to a more cordial format. Fears of German neutrality are not new. In the early 1970s, Henry Kissinger, then the U.S. national security adviser, warned that West Germany’s Ostpolitik could play into the hands of the Soviet Union and threaten transatlantic unity. He argued that closer economic ties with the Soviet Union would increase Europe’s dependence on its eastern neighbor, thereby undermining the West. The danger Kissinger foresaw was not so much that West Germany might leave NATO but, as he put it in his memoir, that it might “avoid controversies outside of Europe even when they affected fundamental security interests.” Fortunately for Washington, the Cold War kept such impulses in check, as West Germany relied on the United States for protection against the Soviet Union. Now, however, Germany finds itself in a more central and stronger position in Europe. During the Cold War, West Germany was a weak state on the fringes of what became the EU, but the reunified Germany is now one of the strongest—if not the strongest—power in the union. Given that position, a post-Western Germany could take much of the rest of Europe with it, particularly those central and eastern European countries with economies that are deeply intertwined with Germany’s. If the United Kingdom leaves the EU, as it is now debating, the union will be even more likely to follow German preferences, especially as they pertain to Russia and China. In that event, Europe could find itself at odds with the United States—and the West could suffer a schism from which it might never recover. Ostpolitik is one of Washington's worst nightmares. Well-being is inversely correlated with materialism. APA: What does psychological research say about materialism’s link to happiness? Kasser: The connection between materialism and well-being is the longest-standing strand of research in the materialism literature. My colleagues at the University of Sussex and I recently published a meta-analysis that showed the negative relationship between materialism and well-being was consistent across all kinds of measures of materialism, types of people and cultures. We found that the more highly people endorsed materialistic values, the more they experienced unpleasant emotions, depression and anxiety, the more they reported physical health problems, such as stomachaches and headaches, and the less they experienced pleasant emotions and felt satisfied with their lives. As Abraham Maslow's hierarchy of needs suggests. An economy is the material life-support system of a society but well-being only begins with material sufficiency. Material sufficiency is a necessary but not a sufficient condition for well-being. Material abundance is neither a necessary nor a sufficient condition for human well-being, regardless of the neoliberal propaganda and advertising to the contrary. There's more to living the good life in a good society than money and toys. Looks like this libertarian Cochrane guy took a shot at "Keynesians" the other day in a WSJ op-ed and now "Keynesians" are all up in arms in defense. Here is a link to Cochrane's thing at CATO. Here is a link to Dean Baker's response at CEPR. He sees the U.K.’s turn to austerity as a brilliant success; and the continued U.S. growth, in spite of deficit reduction, as further proof of the failures of Keynesian economics. This is interesting from Baker here because if you CTRL-F Cochrane's article for the character string "deficit", it does not yield a result. Let me translate: Cochrane NEVER mentions "the deficit". What is going on with this "Keynesian" obsession with "the deficit"? Its like Baker is trying to refute the assertion that if savings are reduced within a period of time, it could very easily coincide with increased domestic economic activity over that same time period. Within the context of "libertarians" vs. "Keynesians", imo libertarian Cochrane makes some pretty good points of argument against some perhaps typical "Keynesian" reasonings and Baker simply can't do a very good job refuting them. “Now that some of our foreign partners in conditions of sanctions, contrary to their own benefit leave Russian projects, we have to solve two tasks at once: seek new partners to develop deposits and replace technologies,” he said. In order to remain competitive, “it is necessary to master new technologies, and Russian companies are doing that,” Novak said. Sanctions have created a vacuum, and India and China are rushing in to fill it. An excellent scholars conference on Ukraine was held early this month at the University of Ottawa. We've already featured much from there including the lectures given by the Canadian military historianPaul Robinson and James Bisset the former Canadian Ambassador to Yugoslavia, Bulgaria and Albania. A summary of all the days' lectures has also been produced since. We are citing parts of summaries of two other lectures, by Canadian-Ukrainian scholars Olga Ostriichuk and Halyna Mokrushyna that make an important point. Back to Dickensian times. Or maybe Dickensian times will look good in comparison as the Ukraine is looted because freedom and capitalism. On Sunday, Chinese Commerce Minister Gao Hucheng told Hong Kong’s Phoenix TV that Beijing would strengthen ties with Moscow in energy and manufacturing, predicting that Chinese-Russian trade would hit its target of $100 billion this year despite the ruble crisis. As the ruble’s value in dollars or euros swings wildly, Gao proposed moving away from the dollar in financing Chinese-Russian trade and instead using the Chinese currency, the yuan or renminbi. Gao said China would focus on “fundamental factors such as how the two economies complement each other,” Reuters reported. “Capital investors may be more interested in a volatile stock or foreign exchange market. But in terms of concrete cooperation between the two nations, we shall have a balanced mentality and push forward those cooperations,” Gao said. Bird's eye view of America's global geopolitical and geostrategic posture. "The land of 1000 bases." But the US prefers to operate clandestinely. As it stands, what we do know is that 2015 will be a hair-raising year in myriad aspects. Because from Europe to Asia, from the ruins of the Roman empire to the re-emerging Middle Kingdom, we all still remain under the sign of a fearful, dangerous, rampantly irrational Empire of Chaos. From the first to the second cultural revolution — another story of liberalization and corruption. Short summary of GDP (and NIPA) as the basis of macro. Machinations in Russia. Alexei Kudrin is the person to watch. Alexei Kudrin, the former finance minister (right), started by criticizing Putin and Nabiullina last week for their timing on managing the rouble crisis. For Kudrin’s tweets, click. This week Kudrin has announced through the Financial Times that Putin is obliged to choose between capitulation in eastern Ukraine and capitulation on the home front. “As for what the president and government must do now,” Kudrin declared, “the most important factor is the normalisation of Russia’s relations with its business partners, above all in Europe, the US and other countries.” Kudrin claimed to the newspaper that 40% of the rouble depreciation is due to the sanctions war. Kudrin announced his candidacy for prime minister in Washington in September of 2011, before he was fired; Putin said at the time that Kudrin had suffered abreakdown. This time Kudrin’s candidacy to run Russia is sponsored from London, as he places himself at the head of what the Kremlin faction of security officials is calling the Fifth Column. The security faction is led by chief of staff Sergei Ivanov; it is represented in public by the Novorussian commander Igor Strelkov. Read more. Look back at the table setting — at Friday’s meeting with the oligarchs, Ivanov was in first place on Putin’s right. The U. S. Senate seat now held by Elizabeth Warren is, of course, Ted Kennedy's old seat. But did you know that that seat was previously held by John Quincy Adams, Daniel Webster, Chales Sumner, Henry Cabot Lodge, Henry Cabot Lodge, Jr., and John F. Kennedy, among others? That is a brief history of America right there. Big chair to fill. Will Warren fill it? They just set price and let the world buy what it wants at their price. No one seems to know that. Learn to trade Forex. Major Forex moves coming in 2015! There will be some major Forex market moves in 2015, possibly dwarfing the moves we saw in 2014. Will you be ready to trade?? Sign up for my Jan 12-16 Forex class to ensure that you have the knowledge and skills needed to profit from what is likely to be a huge year in the Forex market. The debt ceiling will be a major issue by March. Will the Republicans default or, will they throw the Federal Government into balanced budget mode, sending the United States on the path to a "full Europe?" And speaking of Europe? Will 2015 be the year Europe comes apart? Greece will be holding elections and the leading poltiical party is staunchly anti-Europe. Will Greece be the first country to abandon the euro? How about Spain where anti-Europe sentiment is also boiling over? Is Spain about to jettison the euro, too, sending it plummeting? Some say the yen's a "crowded trade." There's a $40 billion speculative short position in the yen that has been two years in the making. Will something trigger a massive short covering rally? Russia, the ruble. What next? Sign up for my Jan 12-16 online Forex course. Get the skills and strategies you need to profit from the big Forex moves coming in 2015! Sign up before Jan 1, 2015 and you save 30%. Lord Keynes — Are all Facts Theory-Laden? Noah Smith — Should theories be testable?